Amazon is running yet another one-day sale on SanDisk storage products, but this one differs from previous Gold Box deals in that it includes more SanDisk Extreme microSD cards. If you're shooting a lot of 4k video, the extra data transfer speeds on the Extreme cards is ideal, and the Amazon sale includes 64GB, 128GB, and even the 400GB Extreme card at all-time low prices. However, the speed benefits of the Extreme cards will go largely unnoticed if you use them in a Nintendo Switch. SanDisk Ultra cards are all you need there, and this sale just happens to have the 256GB SanDisk Ultra card priced at $30.99, which is 37% off list and an all-time low. Note that the 400GB Ultra card isn't part of today's Gold Box, but it can be had for $69.21, which is a solid deal. 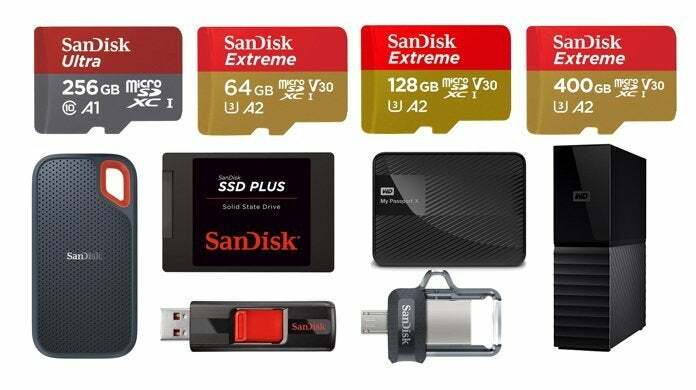 You can shop the entire Amazon SanDisk sale right here until the end of the day today, April 15th. In addition to the Extreme microSD cards, we've singled out some additional gems from the sale below.